9 runs needed off 6 balls in the 1st ODI, what an interesting match it was. It was Woakes who was handed the ball and Santner finished the game by smashing six in the second ball. This was a brief of the previous One Day International. We are back again with Today Dream11 Fantasy Cricket Prediction Of NZ v ENG 2nd ODI. In this post, we will talk about playing condition of Bay Oval, playing 11, the best team to win the leagues, tips and tricks, a bit about astrology and few strategies to increase your chances by almost 100 %. 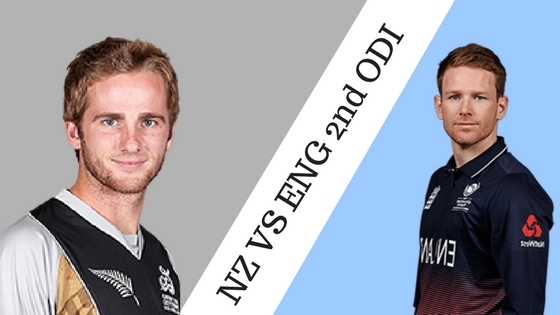 Who Will Win the 2nd ODI, NZ V ENG? 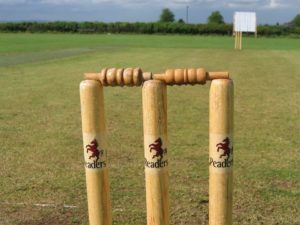 Match: England Tour of New Zealand, 2018, NZ v ENG, 2nd ODI. Venue: Mount Maunganui, Bay Oval. Average first inning score is 254. Average second inning score is 229. Initially, Bay Oval was known as Blake park. First ODI played here was between Canada and Netherlands on 28th January 2014. This pitch is a batting paradise, the balls come very nicely into the bat. It will also support the seamers. Last ODI played here was between New Zealand and Sri Lanka. NZ made a huge total of 294/5 and won the match by 36 runs. MJ Guptill scored 102 runs in 157 balls. Trent Boult took 3 wickets in 8.1 overs and MJ Henry took 5 wickets in his 10 overs spell. From SL KMDN Kulasekara took 3 wickets. Black Caps have played 3 games in this stadium and out of three they have only won 1 match in Bay Oval. South Africa have defeated New Zealand twice in this ground. Only four matches were hosted here, so this is the first time England will play on this ground. According to astrology the weather of Mount Maunganui will have low clouds in the daytime with a high temperature of 22-degree Celsius. In the night the maximum temperature will be 20-degree Celsius and it is predicted to be cloudy and warm with a chance of a little shower. Martin Guptill, Matt Henry, Ross Taylor, Trent Boult, Colin Munro, Tom Latham(w), Colin de Grandhomme, Henry Nicholls, Todd Astle, Tim Southee, Ish Sodhi, Mitchell Santner, Lockie Ferguson, Kane Williamson(c), Mark Chapman. Jonny Bairstow, Alex Hales, Jason Roy, Ben Stokes, Mark Wood, Moeen Ali, Chris Woakes, Eoin Morgan(c), David Willey, Tom Curran, Adil Rashid, Jos Buttler(w), Sam Billings, Joe Root, Craig Overton. Kane Williamson is having niggles from a couple of months, there is very less chance that he will play. There is a huge chance that Mark Chapman will make his debut in the 2nd ODI. Black Caps Coach, Mike Hesson said that Williamson will have to go through fitness test before the match. England will play with the same playing 11. Jason Roy started well in the first game but could convert it. As the pitch is batting friendly, ENG will go with the same team. We have divided the key players on the basis of their role, for example, wicket keepers, batsman, all-rounders, and bowlers. We will provide you the detailed stats and recent performance of the players. Jos Butler: Butler bats at 6th down for his team. In the previous game, he scored 79 runs. Jos has contributed 69 points and has been selected by 54.82% of the dream11 fantasy users in the first ODI. 65.05% of the users have selected him in the second ODI. Tom Latham: Latham bats at 5th down for his team. He has also scored 79 runs in the previous match. Tom has contributed with 46.5 points and has been selected by 45.18% of the people. 34.95% of the users have selected him in their team for 2nd ODI. Pro Tips: There is a huge chance that Williamson will not play the match so Tom Latham will get more chance to bat and there is one more advantage that he bats at 6th down. Select him for the grand league. You can go with him in small leagues. Joe Root: Joe bats one down for his team. He has scored 71 runs in the last match. He has contributed with 47 points and has been selected by 78.03% of the users. 86.4% of the users have selected him for today’s match. Martin Guptill: Although Guptill has scored only 13 runs in the last match, everyone knows his potential. He has contributed with 11.5 points and has been selected by 69.53% of the team. For 2nd odi 60.79% of the team have selected him. Ross Taylor: Ross Taylor Proved “Old is gold”. He has scored 113 runs in the last game. He has contributed with 76.5 points and was selected by 30.47%. 63.62% have selected him for the current game. Colin Munro: Munro Scored 6 runs and took 1 wicket in the last match. He has contributed 18 points and was selected by 67.38%. 60.21% have selected him for the 2nd ODI. Eoin Morgan: Morgan bats 4th down for his team. He 8 runs in the last match. He contributed 7 points and was selected by 51.44% of the players. 33.74% have selected him for the second game. Mark Chapman: Chapman didn’t play the 1st odi but there is a chance that he will play 2nd ODI. 0.88% of the fantasy users have selected him. Pro Tips: Keep Mark Chapman on your team if you are going for the grand league as very few users have selected him. Make a combination of other key players if you are playing with multiple teams. Ben Stokes: Stokes 5th down for his team. He scored 12 runs and took 2 wickets in the last match. He contributed with 35.5 points and was selected by 77.08% of the users. 83.25% of the users have selected him for the 2nd odi. Chris Woakes: Woakes plays more as a bowler. He took 2 wickets and scored 11 runs in the last match. He contributed with 32 points and was selected by 47.38% of the users. For the coming game, 59.83% have selected him. Moeen Ali: He scored 28 runs in the last match. He is the player whom we can’t avoid. He has contributed with 19 points and was selected by 32.23%. 16.48% have selected him for the 2nd game. Mitchell Santner: Santner scored 45 runs and took 2 wickets in the last match. He contributed with 53.5 points and was selected by 25.73%. 70.82% have selected him for the second match. Pro Tips: This is will support batsman and seamers more so try to keep Ben Stokes, Chris Woakes and Moeen Ali in your team for the grand league. If you are playing with multiple teams make a combination from the above list. Trent Boult: Boult took 2 wickets in the last match. He has contributed 30 points and has been selected by 81.18% of the users. 85.85% have selected him for the second game. Tim Southee: Southee scored 8 runs but failed to take wickets in the last match. He contributed 18.5points and was selected by 72.5% of the users. 56.17% of the dream11 fantasy users have selected him for the second game. David Willey: Willey scored 11 runs and took 1 wicket in the 1st ODI. He contributed with 23 points and was selected by 24.47% of the fantasy gamers. 61.26% have selected him for the current match. Tom Curran: Curran took 1 wicket in the last ODI. He was selected by 10.1% of the fantasy users and contributed 14 points. For the current match, 9.67% have selected him. Pro Tips: Keep Chapman as a captain or vice-captain in the grand league. For multiple teams try to make a combination from the above list. New Zealand has played 3 matches in this ground and has lost 2 out of 3. England will play their first game on the ground. According to Astrology and past performance of the players New Zealand will win the 2nd ODI. Nz will win the toss and they will bat first. The last match played on this ground was between SL v Nz. Black Caps have won that match batting first. If New Zealand wins the toss and decides to bat first and England takes quick wickets. If Nz wins the toss and decides to bat first but Eng fails to take quick wickets. Note: The above teams are demo teams. Make your own team following the above tips and tricks. Conclusion: So thanks for reading the post, this is it for Today Dream11 Fantasy Cricket Prediction Of NZ v ENG 2nd ODI. If there are any changes in the team, we will update it, bookmark the page so that you can get full benefit. For small League you can go with the same team.